Right now Prime members can score the Fire TV with 4K Ultra HD and Alexa Voice Remote (pendant design)for just $44.99 shipped (Retail $69.99) when you clip the $25 off digital coupon! Experience true-to-life picture quality and sound with access to vivid 4K Ultra HD up to 60 fps, HDR, and Dolby Atmos audio. 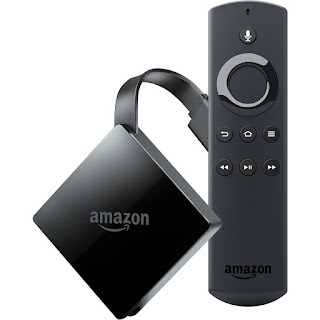 Don't forget that Prime members can also score this Fire TV Stick with Alexa Voice Remote for just $24.99 shipped (Retail $39.99) when you clip the $15 off digital coupon! Enjoy tens of thousands of channels, apps, and Alexa skills from Netflix, Prime Video, Hulu, HBO and more – all controlled with your voice! Such a GREAT price! 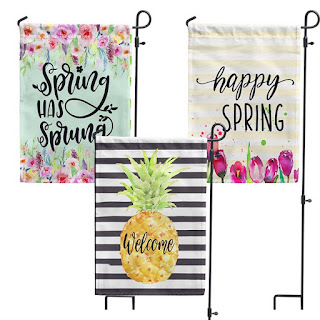 Stock up on these Garden Flags / New Designs ONLY $8.45 (Retail $16.99). Nothing says Spring better than Whimsical Garden Flags! The perfect way to warm up any yard, garden or patio. Crisp durable polyester, economical and fun so that you can change the look often! These flags are one-sided and will provide enjoyment for MANY years! All new preset designs for easy ordering. Very lightweight and DURABLE polyester. $2.85 for the first item and $1.10 for each additional item. US only. Ships no later than Sun, Mar 25. AHHH love it! Limoges Jewelry is offering $10 Off Personalized Jewelry and Gift Orders over $50 with code LOVEYOU at checkout. 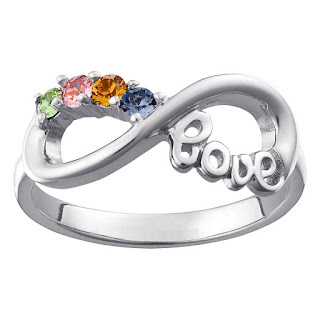 My grandmother, mom and I all have Birthstone rings - this Sterling Silver Infinity "Love" Birthstone Ring (pictured) is $79.99 (Retail $180). The infinity symbol means forever. Show the world that your love will last the test of time with this special infinity ring. This sterling silver ring has a infinity design with the word "love" crafted into the band. This birthstone ring includes spaces for 4 round birthstone crystals – to represent you and/or the other members of your family. Check out these Kids Two Strap Spring Sandals $15.99 (Retail $32.99). These easy slip on sandals are perfect for girls on the go! Fun bright colors to lighten any outfit for spring or summer! $4.99 for the first item and $2.99 for each additional item. US only. Seller usually ships within 2 business days. Ships no later than Sun, Mar 18. 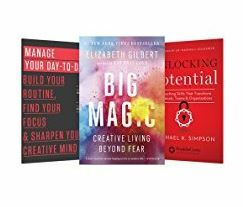 Today ONLY - (3/11) $0.99 & up on Top Business Reads on Kindle. How fun! 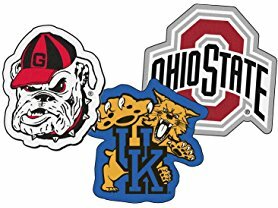 Today only these FANMATS NCAA Mascot Area Rugs are just $21.99 (Reg. $39.99) at Woot.com! Show your team pride with FANMATS area rugs cut in the shape of your favorite team's mascot or logo. 100% Nylon carpet and non-skid recycled Vinyl backing. Officially licensed and chromojet printed in true team colors. Today ONLY (3/11) these Lullabi Luxe Brushed 100% Microfiber 3pc/4pc Sheet Sets start at just $13.99! 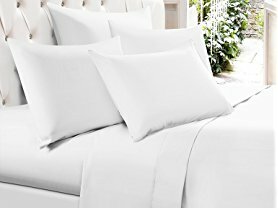 The Lullabi Luxe Brushed Microfiber Sheet Set offers long-lasting strength with a natural resistance to pilling, shrinking and wrinkles. Double brushed to provide an exceptionally soft hand and breathable comfort. Wrinkle free Microfiber sheets offer exceptional comfort and softness combining breathable comfort, durability, and ease of care. 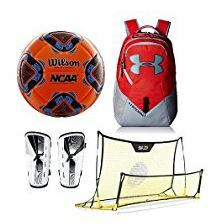 Today ONLY (3/11) - Save Up to 25% on Soccer Gear with prices starting as low as $6.58. 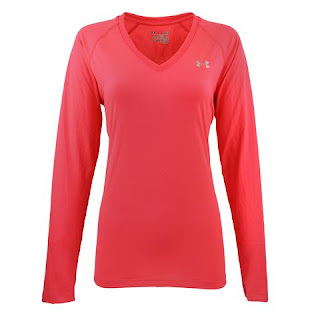 I LOVE these Under Armour Women's UA Tech L/S Semi-Fitted V-Neck Tees for $17.99 (Retail $29.99) with code UAP1799 at checkout. Never satisfied with the status quo, Under Armour retooled everyone's favorite T-shirt to bring you the brand new UA Tech Long Sleeve Tee. Its got a deeper, ribbed V-neck for a super-feminine finish, a crazy soft fabric that feels incredible next to your skin, and built-in Anti-Odor technology. What hasn't changed is its signature UA performance. It still wicks perspiration fast, regulates your body temperature, and moves wherever you want to take it.